But no biggie, as I would think the outcome would be the same regardless of the meat I used. If I’m back in Singapore, I’d definitely go for minced chicken as minced turkey is very hard to come by. 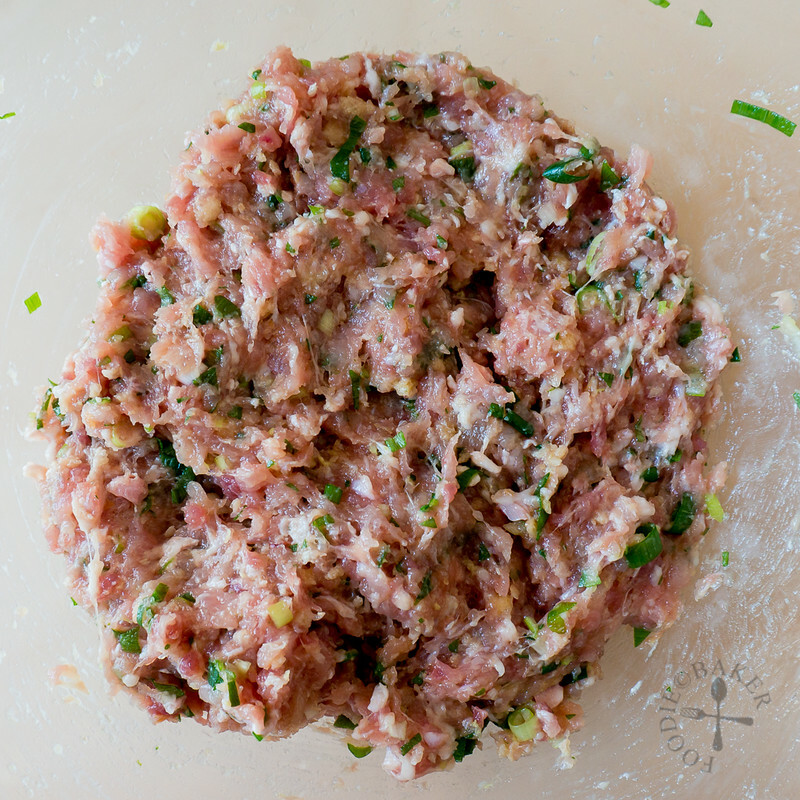 I went the opposite direction of the previous meatball recipe and used Asian ingredients this time round – ginger, spring onion, soy sauce and sesame oil. 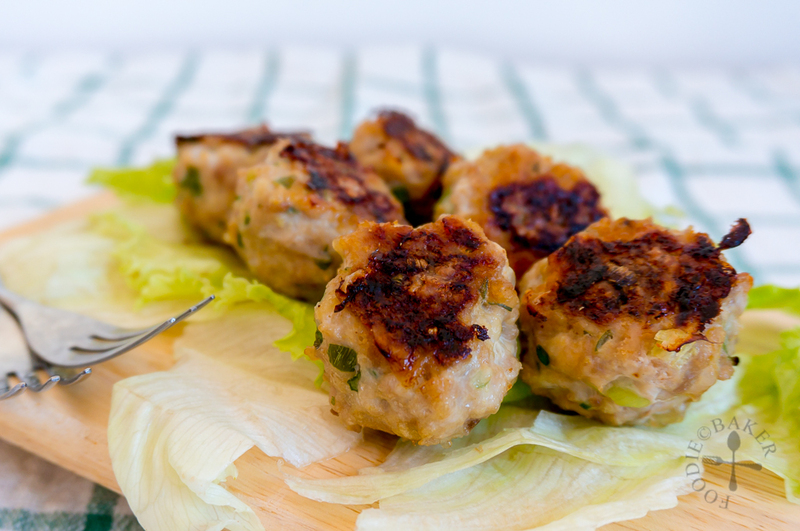 The only ingredient that is “Western” about these meatballs is the bread crumbs. 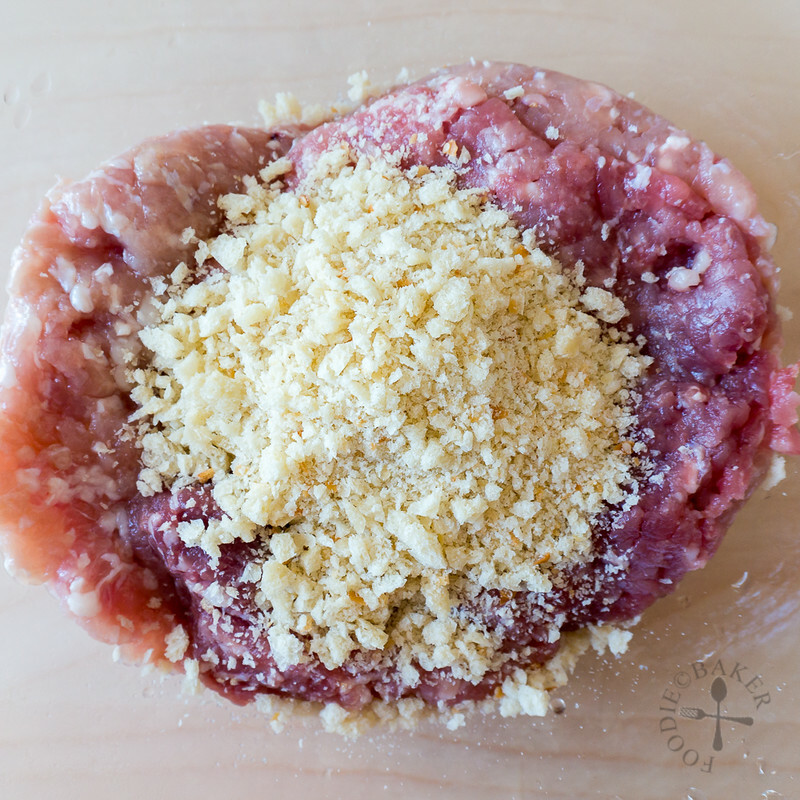 Bread crumbs add a tender texture to the meatballs, and an alternative would be to use drained and mashed tofu (which will make it gluten-free too!) But since tofu is extremely pricey here and allergy is not an issue, it makes a lot more sense to use bread crumbs. An egg was also added to bind everything together. Then it was time to roll! (Grab a slave friend / partner to roll with you if you can, but I had none and X was at work, so I spent 30 minutes rolling the meatballs, while watching my drama on TV heh). Baking the meatballs is the easiest and fuss-free way to cook them, but you can also do the sear and bake method described in this meatballs recipe. You can serve them on their own with other side dishes or breaking them up into smaller pieces while stir-frying with vegetables – both are delicious and perfect with a big bowl of steaming hot rice. The sesame taste in the meatballs is pretty strong (which I love) but if you are not a fan you can reduce the amount used. 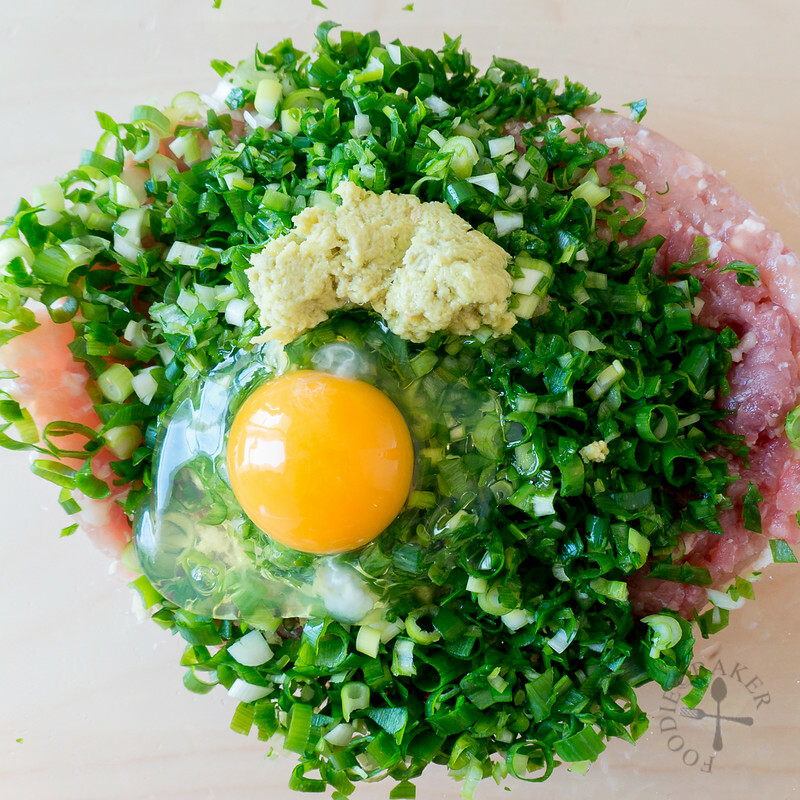 Now that I have both Western and Asian style meatballs in my recipe collection, I’ll never reach for those frozen ones in the supermarket ever again – making meatballs from scratch is healthier, more nutritious and you are in control. I can control the amount of sodium (salt) in them, and never have to worry what kind of chemicals or preservatives were added into the meatballs. 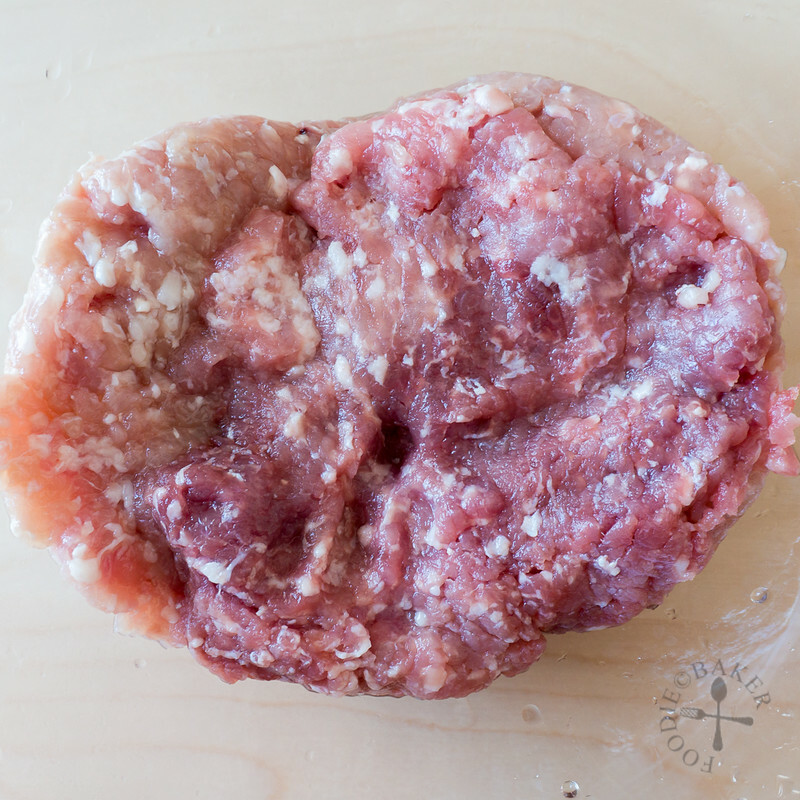 To go a step further into the control, make your own minced meat! This will be something I’d love to try in the future when I get my mixer (and the grinder attachment). But for now, I’ll just get them from the butcher. So dear readers, please tell me, what is your favourite meatballs mix? I would love to try new flavourings out! 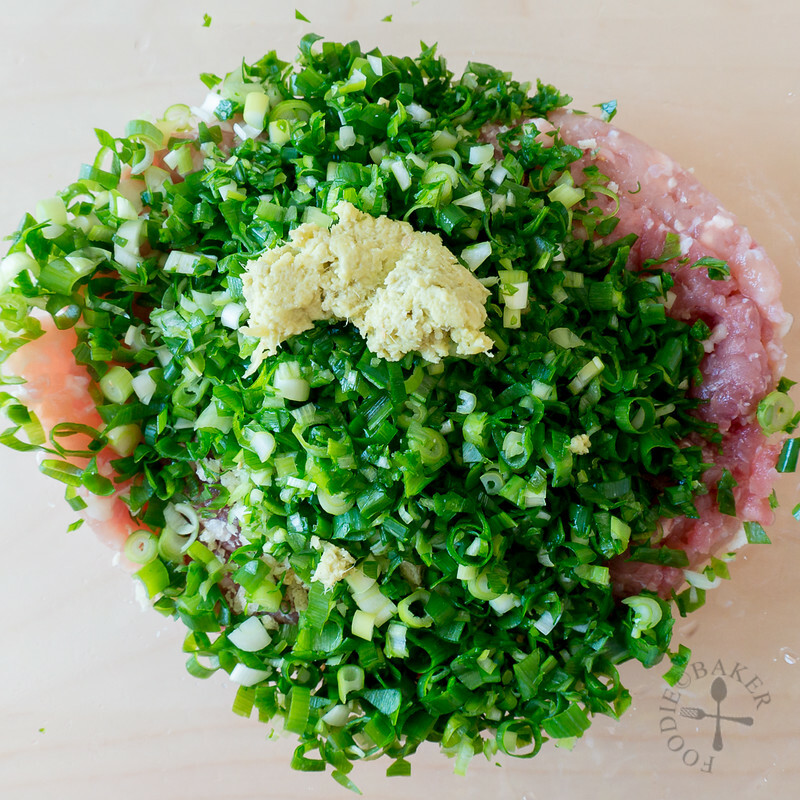 1) Place minced pork and minced chicken/turkey in a large mixing bowl. 2) Add in bread crumbs. 3) Followed by finely chopped spring onion. 4) A little grated ginger goes in as well. 5) Crack in a large egg. 6) Add in the seasonings. 7) Mix them altogether. 8) Get rolling! Bake, pan-fry or sear-&-bake them perfection! Line a baking sheet with baking paper. Set aside. 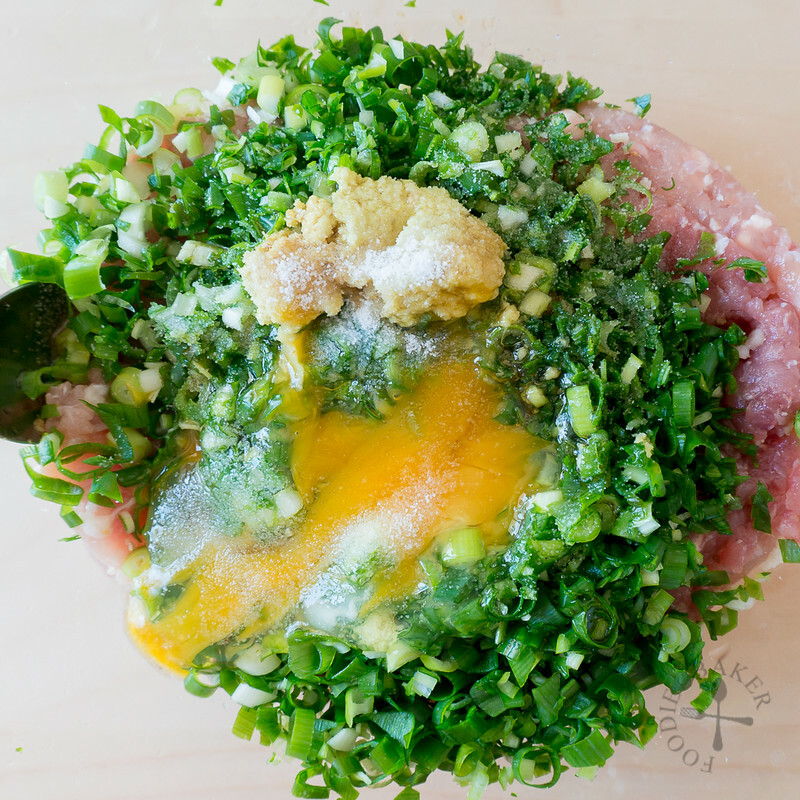 Combine all the ingredients together in a large mixing bowl. Use your hands and mix them together thoroughly. 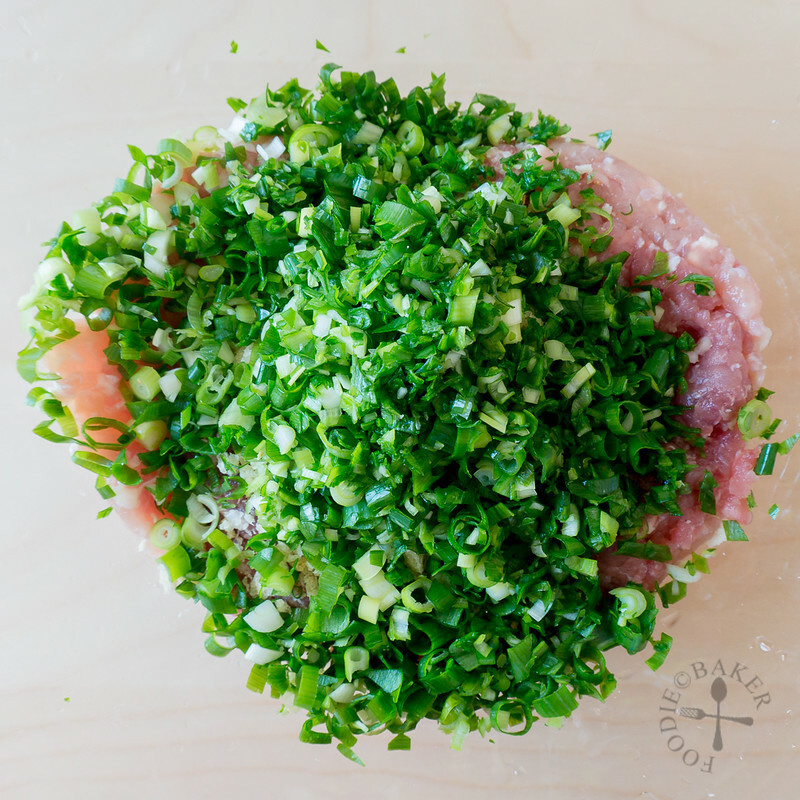 Scoop about 1 tablespoon of the mix and roll them into meatballs. Place on the lined baking sheet. 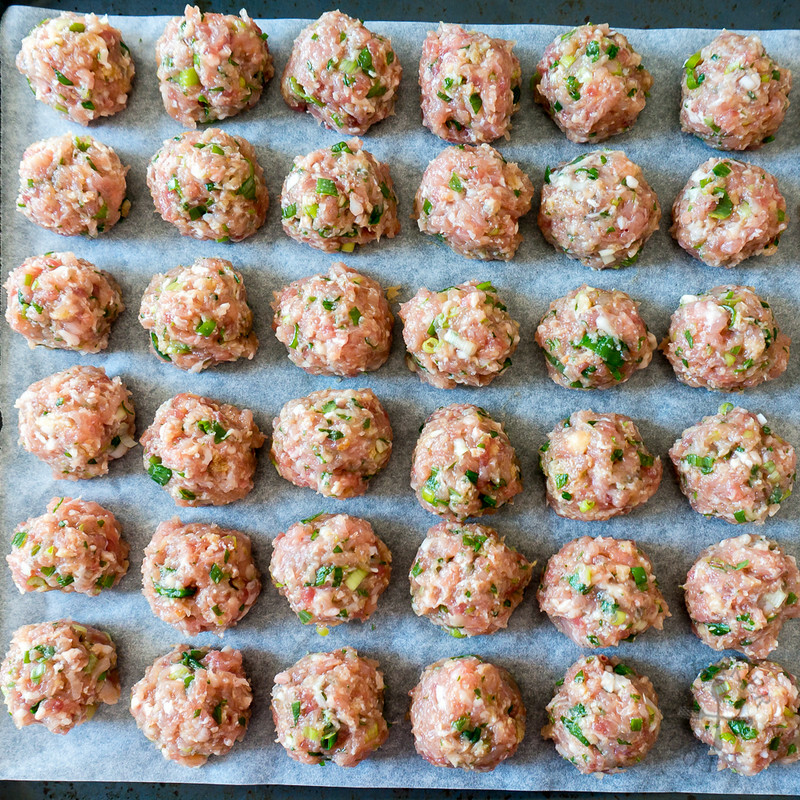 Freeze the meatballs for at least 1 hour until firm, then store them in a ziploc bag. Preheat the oven to 190C / 375F. Line a baking sheet with baking paper. 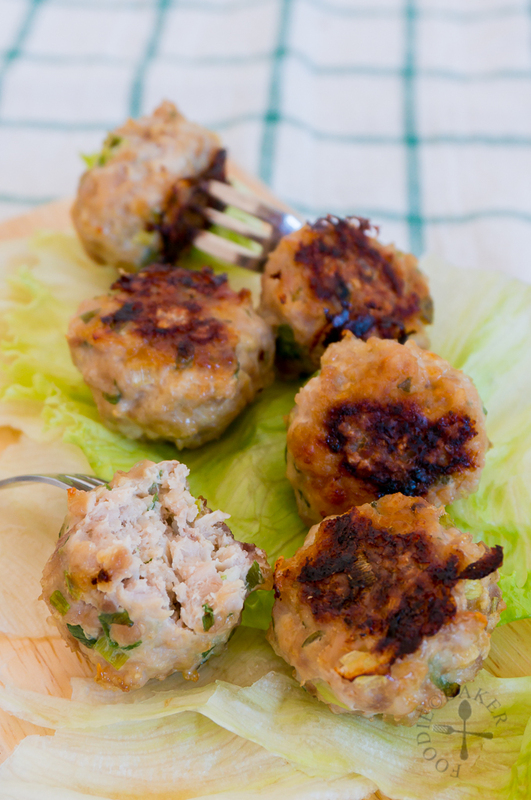 Place the meatballs on top and bake for 20 to 25 minutes, flipping them once. 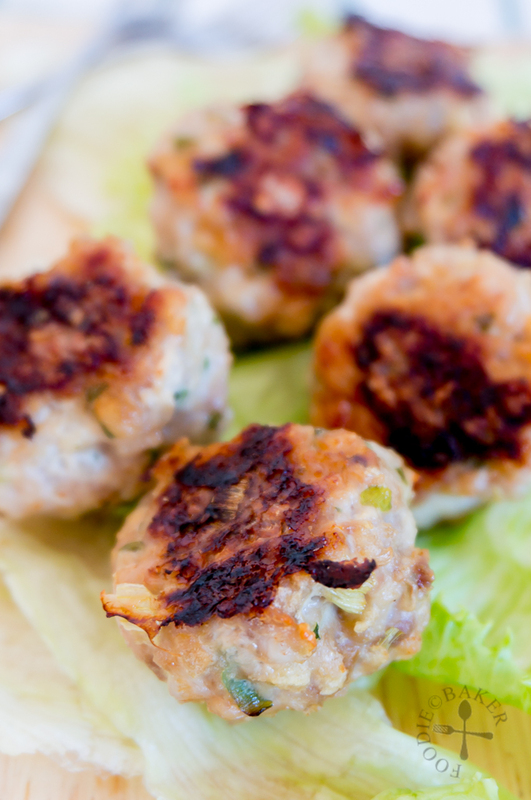 For more flavour, sear the meatballs in a frying pan until both sides are browned before baking them. Reduce the baking time by 5 to 10 minutes. The meatballs can be served hot, warm or at room temperature. 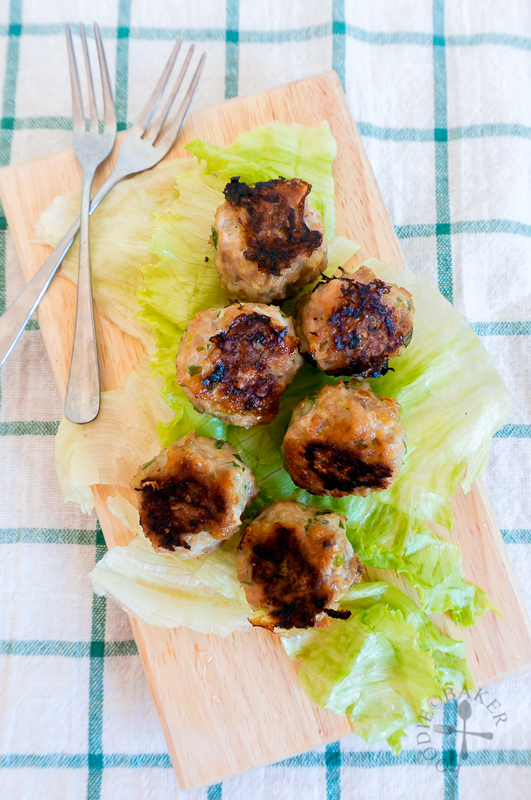 Check out my Western-style Ultimate Beef-Pork Meatballs! Fun flavours you have here! 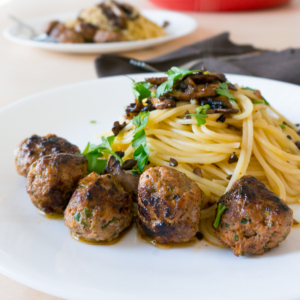 I’m drooling over these delicious meatballs! Love Love Loveeeeee meatballs! 😀 I am drooling right now! Hi Anna, fennel in meatballs sound lovely, I think I spied some fennel in the market last week, hoping to get some the next time I make meatballs. Do let me know you if you get to try this in the future! 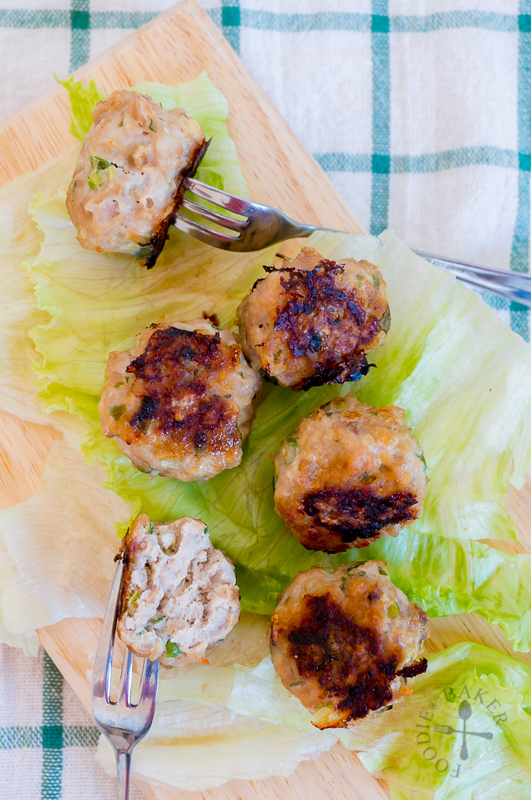 Love the idea of these meatballs! Such fun flavors — really creative. These are wonderful — thanks so much. You are welcome John! If you do make them in the future, do let me know! Both ground Turkey AND ground Chicken are readily available here (in Canada) and I’ve found I actually prefer ground Turkey. I substitute it for EVERYTHING that requires ground Beef. Thanks for the insight Doug! May I ask why do you prefer turkey? Is there a significant difference in taste as compared to chicken? I see, I’ll definitely try the substitution of ground turkey for ground beef in my future meatball recipes, more recipes to experiment! Thank you Kenneth! The bread crumbs help to keep the meatballs light and moist too, wish I can send some to you!